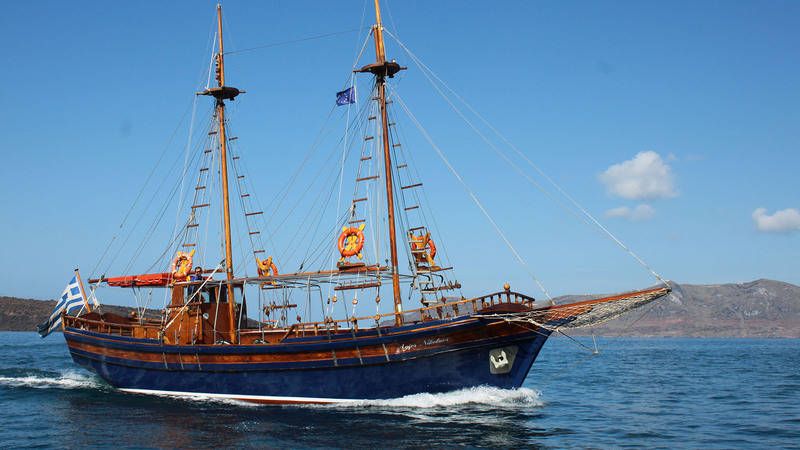 Greek traditional boat built in Syros in 2003. It has 4 sails and two main propulsion engines. The size is ideal for all the ports of the caldera for no more than 70 passengers. Available and for chartering trips to the volcanic islands of the Caldera.